Our annual Great Ydeas Small Grants Program fosters the innovation, entrepreneurship, and leadership of women in the ACT. Launched in 2010 in celebration of YWCA Canberra’s 80th anniversary, more than 30 women have since received grants of up to $2000 to undertake pilot projects, start small businesses, participate in professional development opportunities, or address social needs in the community. Each year in April, grant recipients are announced at our Round the World Breakfast event, in celebration of World YWCA Day. With more than 100 corporate friends, YWCA Canberra members, Board Directors and government stakeholders in attendance, the event is always a lot of fun, and a great networking opportunity. We are pleased to partner with Microsoft this year to offer the Great Ydeas STEAM start-up grant, which provides seed funding of up to $2,000 to a woman entrepreneur and/or small business owner of any age, in the science, technology, engineering, arts and mathematics arena. Microsoft believes in the positive changes that women bring in decision making processes, managing people, driving corporations and in impacting social life in general, and are also the founding partner of our Computer Clubhouse. We are grateful to Soroptimist International ACT & Monaro Inc this year for their support in offering the Great Ydeas Diversity and Inclusion Grant, which provides a grant of up to $2,000 to a woman of any age, identifying as Aboriginal or Torres Strait Islander, culturally or linguistically diverse, LGBTQI+, or a woman with a disability. This year, we’re thrilled to partner with the CBR Innovation Network (CBRIN) to offer one grant recipient the opportunity to participate in CBRIN’s “Lean Start Up Workshop” series in 2017, and 3 x 1 hour mentoring sessions with experienced entrepreneurs. We are delighted to share that this year Australian Catholic Superannuation has partnered with us to provide a unique Great Ydeas grant for a young Canberra woman to further her potential. The Australian Catholic Superannuation Great Ydeas Enrichment Grant is available to help a young woman (aged 12-25) reach her potential through personal development. The grant can be used to attend a conference, fund an extra-curricular activity, or participate in a learning opportunity, for example. Open to Australians from all walks of life, Australian Catholic Superannuation is committed to promoting financial literacy and supporting young people. 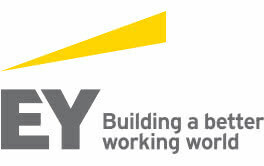 YWCA Canberra and EY share a commitment to supporting young people, and this year we are pleased to announce that EY have generously supported the Great Ydeas Grants Program by coming on board as Great Ydeas Partner. EY has a global commitment to helping build a better working world for our youth, and are proud to support positive initiatives for young people around the world. Are you a young Canberra woman with a passion for wellbeing and empowering others? The EY Great Ydeas Impact Grant is available to support a young woman to kick-start a project in the areas of wellbeing, social connectedness and inclusion. Projects could focus on mental health awareness, supporting young women to secure or improve access to work or training, or a community garden, for example. As long as your project promotes wellbeing and community inclusion, your imagination is the limit! We are thrilled to continue our strong partnership with EY, one of Canberra’s leading professional services organisation. We are pleased to announce that NAB and YWCA Canberra have teamed up to offer a Great Ydeas Grant for a young Canberran woman (aged 12-18), with a passion for innovation and a budding entrepreneurial spirit. The NAB Great Ydeas Innovate Grant is available to support a young woman to kick-start a small business, a social enterprise start-up or an online shop. We are proud to partner with NAB, who have a demonstrated commitment to empowering young people to become the leaders of tomorrow through innovative thinking and entrepreneurship. The $20 Boss Program, an ultimate start-up challenge for Australian school students is a great example of their dedication in this area. To find out more about becoming a Great Ydeas Partner, please contact Helen Machalias, Director of Communication, Advocacy and Fundraising at helen.machalias@ywca-canberra.org.au.